GROUP B: Over 29 years (without upper limit). - Each applicant shall have 10 minutes to present to the Panel an aria that is not longer than 6 minutes and potentially other aria on the applicant’s list upon request from panel. In the application form, the applicant must list in first place the work with which he or she wishes to start their performance. - The Panel reserves the right to discontinue performance at its sole discretion and/or to require another aria from the singer’s list. - At the disposal of the singers there will be an accompanist at no extra charge. Upon request, anyone can present themselves with their own accompanist at their own expense. - According to the predefined schedule, an hour before the start of the audition as well as during the breaks, the dressers will be available for warmup and a brief rehearsal with the accompanist. Rehearsals with the accompanist(s) shall follow a strict schedule consistent with the time of each applicant’s audition. The schedule will be sent by email to each participant several days before the date of the audition. - Each singer must submit an application and book his/her preferred day and time. To submit your application and book your day/time, please, click here. - Within three business days following submission of the application and booking the day and time for audition the applicant must pay the participation fee. Otherwise he/she shall be denied participation to the audition. - Within seven days after paying the fee, but not later than 10.10.2018, the applicant may cancel their audition and Omega Music Management undertakes to refund 50% of the fee paid. The amount shall be refunded to a bank account specified by the applicant, all bank charges for such transfer being borne by the applicant. - The applicant will receive the confirmation of participation in the audition on the day following the day on which the participation fee transferred by the applicant has been credited to the organizer's bank account. 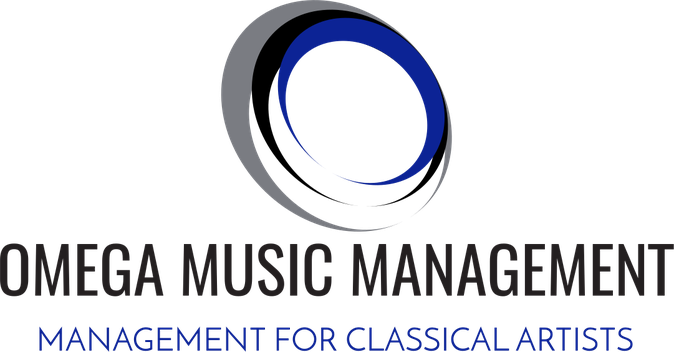 - With the consent of the applicant, and subject to payment of an additional fee for his performance to be recorded on video and to also participate in the video presentation, Omega Music Management undertakes to use the video only for the purpose of sending it to the observing theaters. - In case the participant receives a job offer from the musical institutions represented at the audition (theaters, festivals, concert and other musical institutions), including the observing theaters upon video audition, the participant acknowledges and accepts that such job offer was obtained with the assistance of the organizer and will owe the latter remuneration as agreed for the job. In this case, the organizer and the participant will sign a separate contract specifying the conditions of the impresario service and the amount of remuneration due. Organizer of the event is Omega Music Management - trade company Intellect Invest ABV EOOD, UIC 201236945, having its registered office in Plovdiv, 30 Sevastopol Str.